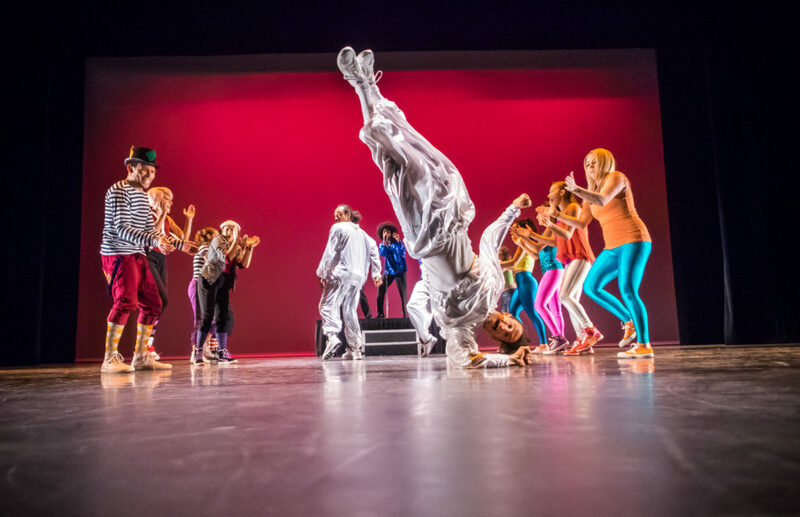 EPIK’s repertoire includes their critically-acclaimed stage performances “Common Ground” and “EPIK Effect”, each over 90 minutes of original choreography that feature contemporary, jazz, hip hop, urban, and a variety of other dance styles. Each piece was developed and presented by members of the company and showcase a different side of the multi-faceted dance company. Each story ties together and gives audiences a chance to not only find what they can relate to within the characters or ideas, but to think about the varying themes that exist throughout the shows. EPIK also provides school-based performances that vary in length from a single 3-5 minute piece to a 50-minute interactive assembly performance. Please email krista@epikdanceco.org for more information. “Every Move Matters” – an original anti-bullying initiative that uses music, movement and spoken word to empowering students to recognize, report, and reduce bullying in their school and throughout their community. The performance introduces bullying concepts, how to recognize bullying, addresses the different perspectives of a bullying situation, but it also takes time to celebrate the courage of students who aren’t afraid to be themselves and stand out from the crowd. Target audience: 6th-8th grades. Suitable for: 5th-12th grades. EPIK Movement (Empowering Passion In Kids) – an artist-in-residency program that uses movement and music to teach the history of hip-hop, creative movement, health and wellness, and a variety of other topics. Programs are customized to meet the needs of each individual school. Student Matinee Performances – a condensed version of our full-length presentation that allows high school students to attend a professional dance show, followed by a Q&A with EPIK dancers. Student matinees are presented in conjunction with our stage performances. The next Student Matinee performance is of “EPIK Effect” and occurs on Thursday, February 14th, 2013. Choreography/Master Classes/Workshops - Several EPIK dancers are seasoned educators with years of experience teaching or setting choreography in a studio and classroom setting. EPIK dancers have their AZ Fingerprint Clearance card and are available to work with students K-12. EPIK Dance Company users their performance and education initiatives to partner with a number of community organizations. EPIK Dance Company is currently the Dance Representative for Free Arts of Arizona’s Professional Artist Series and makes up the Be Kind Crew for the Be Kind People Project. They also support organizations like AIDS Walk Arizona, Recreative Arts, Arizona State University’s “Urban Sol” event, and many more. EPIK Dance Co. is an Arizona based nonprofit street-fusion dance company that provides all people an opportunity to experience the benefits of dance and the arts through public education, performances and community enrichment. EPIK’s repertory includes their critically-acclaimed stage performances Common Ground, EPIK Effect, and Simply EPIK, each over 90 minutes of original choreography that features contemporary, jazz, urban styles, and a variety of other mediums including spoken word, video and live singing. Each piece was developed and presented by members of the company and showcases the many sides of the multi-faceted dance company. EPIK tells stories that tie together in creative ways; ways that give all audience members a chance to find something they relate to, whether it be a character, a storyline, or the message of the show as a whole. EPIK also provides school-based performances that vary in length from a single 3-5 minute piece to a 50-minute interactive assembly performance. Please email info@epikdanceco.org for more information. EPIK can perform in a variety of venues: concerts, theaters, festivals, flash mobs, schools, charity events, corporate events, parties, clubs, battles, etc. The possibilities are endless! You can hire 3 dancers or the entire company. If you would like to book EPIK for your next event, please contact us today! EPIK has a knack for moving from one style to the next with ease. You don’t have to bring in a contemporary company, a hip hop company, and a jazz company. You get it all with us! We have experience working with all age groups, from 3-70! We are able to develop our curriculum according to the community we are working with. We strive to make sure that all of our students feel comfortable and have a good experience. The outgoing personalities of our dancers are magnetic, and are sure to bring out the dancer in even “non-dancers.” Our goal is to create a fun learning environment where everyone feels safe to experiment and try new things. 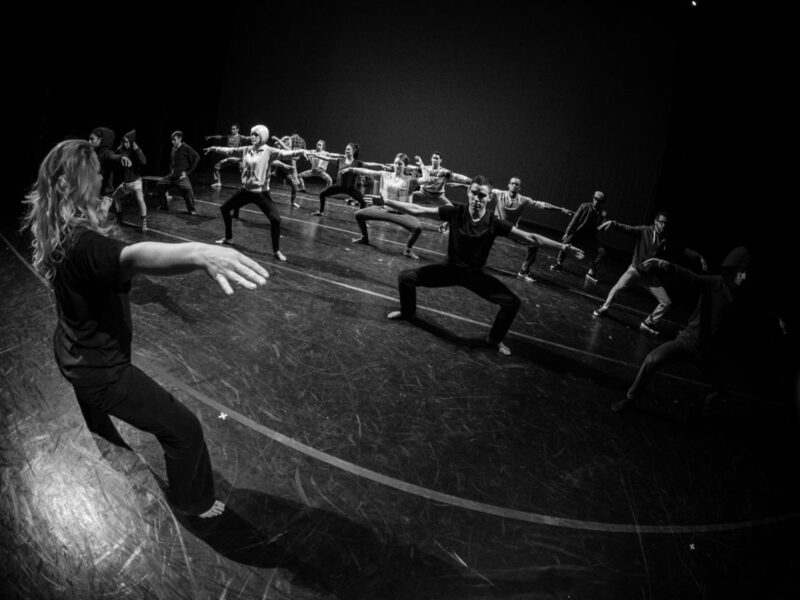 Weekly Open Company Classes – Come take class alongside EPIK company members. View the Calendar of Events for dates, times, and styles. All classes are taught by EPIK Company Members and professional guest choreographers. EPIK Dance Company is an educational partner with Mesa Arts Center. Through this partnership, EPIK collaborates with MAC on an ongoing basis to develop, provide and present in-depth programming through and with the Engagement Office and Art Studios program. In addition to our Open Company Classes, we also offer affordable classes for youth, teens, and adults, each week. Please visit the Mesa Arts Center website (www.mesaartscenter.com) for class schedules and registration. EPIK Workshops – EPIK offers workshops on a regular basis. These events allow the participant to get a taste of many different dance styles and levels in one day. You can take multiple classes (3 to 4) or simply choose to take one class. Check our Calendar of Events for upcoming workshops. 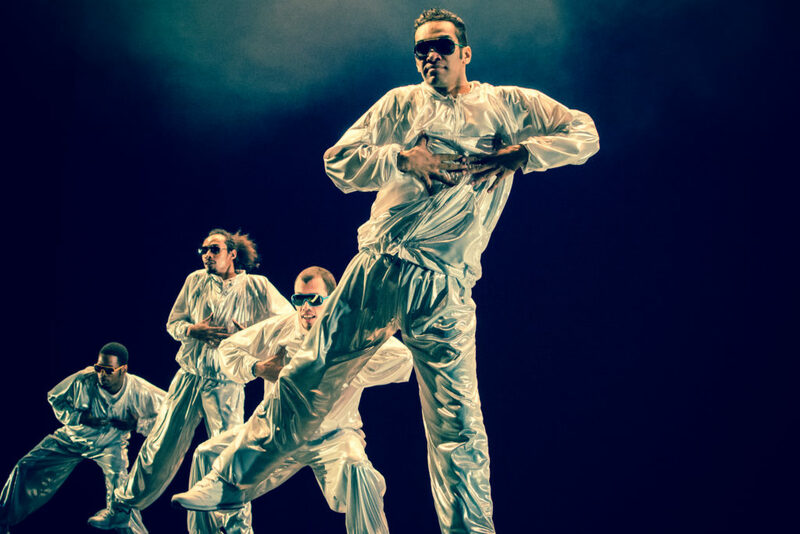 Master Classes/Workshops/Residencies – EPIK Dance Company is able to structure workshops, master classes and residencies according to the needs of the school or organization. We can teach technique/master classes in many styles and levels from beginning to advanced (breaking, popping, locking, house, waacking, krumping, hip hop, modern, contemporary, lyrical and jazz), as well as hip hop history and culture, choreography, improvisation, yoga/pilates, and creative dance. Several EPIK dancers are seasoned educators with years of experience teaching or setting choreography in a studio and classroom setting. EPIK dancers have their AZ Fingerprint Clearance card, and are available to work with students K-12. We are also able to give in-services to teachers on dance pedagogy in hip hop and contemporary styles. We are capable of doing one-day to several-day residencies. One or several members are available for residencies. Classes, lecture/demonstrations, and interactive dance experiences are all possibilities with the company. In actuality, the possibilities are endless, so feel free to come to us with your ideas! Choreography – EPIK can set choreography on students for performance and/or actually perform with them. Whether it be a solo or a large group piece, our choreographers can deliver. Private Lessons – Would you like to learn dance in a more private setting? Some of our company members teach private lessons. Contact us for details. EPIK Movement (Empowering Passion In Kids) – an artist-in-residency program that uses movement and music to teach the history of hip hop, creative movement, health and wellness, and a variety of other topics. Programs are customized to meet the needs of each individual school. Student Matinee Performances – a condensed version of our full-length presentation that allows high school students to attend a professional dance show, followed by a Q&A with EPIK dancers. Student matinees are presented in conjunction with our stage performances. Information on our next stage show, “Don’t Hold Your Breath” will be announced soon. Every Move Matters – an original anti-bullying initiative that uses music, movement and spoken word to empower students to recognize, report, and reduce bullying in their school and throughout their community. The performance introduces bullying concepts, how to recognize bullying, addresses the different perspectives of a bullying situation, but it also takes time to celebrate the courage of students who aren’t afraid to be themselves and stand out from the crowd. Target audience: 6th-8th grades. EPIK Dance Company is a non-profit organization dedicated to uniting and uplifting people by sharing their love of music, movement, and the arts. With a strong core of multi-faceted dancers trained in a variety of disciplines, EPIK has been able to combine classic technical training with urban styles to become Arizona’s premier street fusion dance companies. EPIK Dance Company uses their performance and education initiatives to partner with a number of community organizations. EPIK Dance Company is partners with The Be Kind People Project. They also support organizations like AIDS Walk Arizona, Free Arts Arizona, Recreative Arts, Arizona State University’s Urban Sol and Come As You Are Ball events, and many more. If you would like to partner with EPIK Dance Company, we would love to hear from you!